An apprentice has entered an incorrect email address in the 'Soft skills and behaviour assessment' invite. How can this be correct? I am an Assessor but I can’t grade the uploaded evidence. The ‘evidence’ that the student/apprentice uploads during the three phases can only be graded by the mentor. As an Assessor all you can grade is the certificates and evidence uploaded at the three gateways. I can’t get a report for the behaviour assessment. If you are unable to generate a report for the behaviour assessment this is usually because not all respondents have completed it. To be able to generate a report the apprentice/student, mentor and training provider must complete the assessment in full. Please contact eLearning@theimi.org.uk if you need your role changing to 'Centre Coordinator'. To request more access/redeem codes for your centre please email eLearning@theimi.org.uk stating how many more codes you would like and what centre they are for. I’ve uploaded certificates at the gateway but they are not showing on the progress bar. 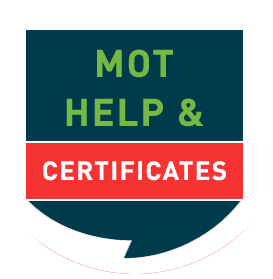 Once you have submitted a certificate at any of the gateways your Assessor/training provider will need to log in and grade it ‘100’. These should be checked and graded by your Assessor/training provider rather than your mentor. If the student/apprentice is unable to see the ‘add entry’ tab this will be because they have not been set-up in a group/garage. Please add the student/apprentice to a group and recheck.